We get a lot of questions from our customers about charging two different batteries in their RV from a single solar panel. For example, they want to charge a battery for their house batteries and also their ATV or boat trolling battery. Most solar charge controllers will only allow you to charge one battery. There are a few charge controllers that have now added the default option of having two battery banks. The two banks are charge separately using the same controller and solar panels. Notice the two discrete battery connection points on both sides of the solar array connection on the back of the above controller. You can easily start with one battery and add a second bank later. 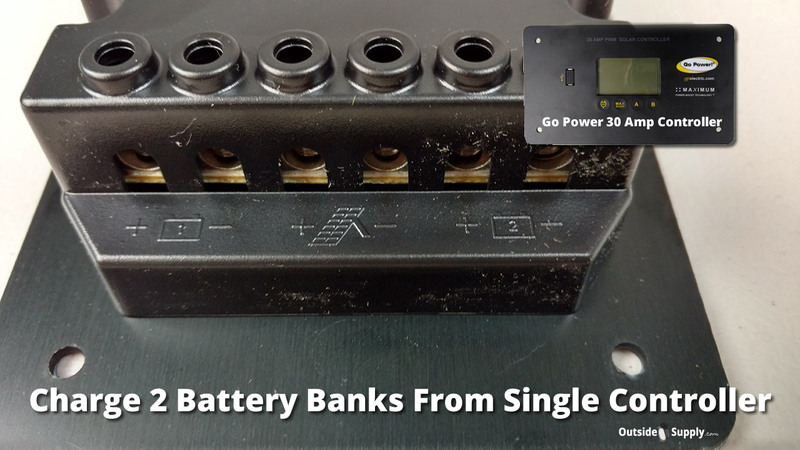 Many of the new RV Solar kits from Go Power have this dual bank controller included in the kit. 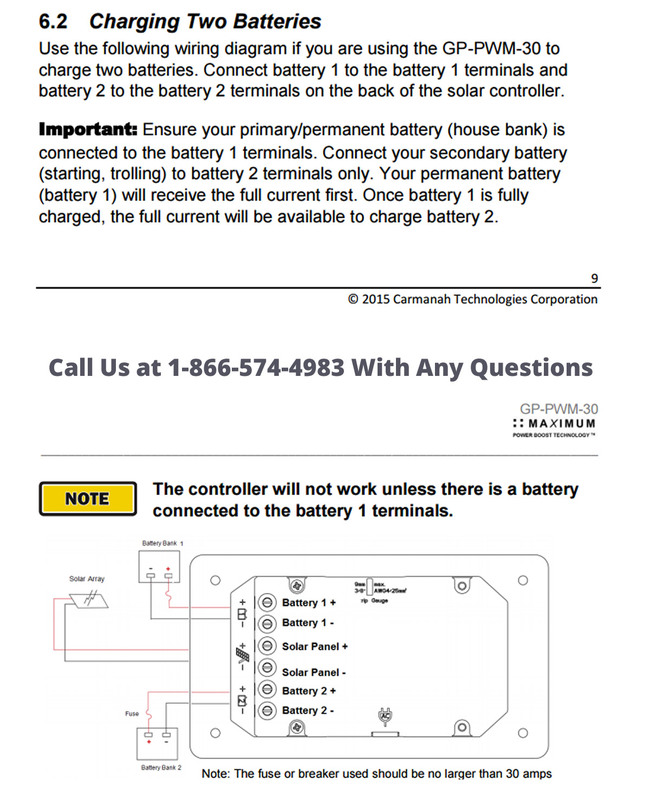 Always connect the RV house battery bank to the first battery position as it will receive the full charge before the second battery begins to charge. Solar Charge Controller - Keeps the solar panel from over charging your battery or batteries. Dual Battery Bank - Having two independent batteries or sets of batteries performing different functions. An example of this would be a start battery and an RV's house battery bank. Solar Array - The solar array is the panel or set of panels used to charge batteries using the sun.